Shopping for a new Porsche Cayenne? 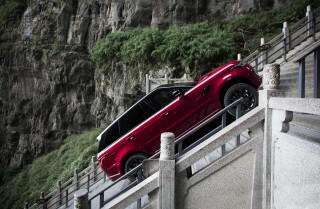 Look before leaping into a Cayenne GTS. The Cayenne S offers nearly identical performance if you’re not interested in specialty exterior looks. The 2018 Porsche Cayenne is a richly appointed luxury SUV that earns its Porsche badge. It's one of few cars on the road that manage to feel special in standard or top trims, despite a $100,000 price difference. It seems hard to call something understated when it wears a crest from Stuttgart on its hood, but the 2018 Porsche Cayenne has defied convention ever since it arrived. 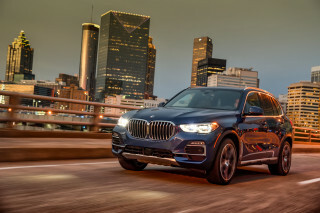 The automaker’s big SUV single-handedly makes Porsche’s sports cars possible today; the Cayenne has brought the automaker from the brink and into beaucoup profits in a single stroke. The Cayenne is available in base, Cayenne S, Cayenne GTS, Cayenne S E-Hybrid, Turbo, and Turbo S configurations. 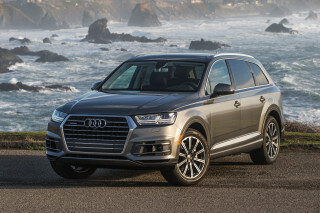 Standard models start at $61,650, including destination, but reach quickly toward the sky. If you’re wondering what we mean: Top-shelf Turbo S models start at $100,000 more than the base version. Yeah, it’s possible to pay more than $200,000 for a Cayenne. Thankfully, all models include an impressive amount of standard equipment, including a 7.0-inch touchscreen, 18-inch wheels, leather seating surfaces, and a lovely badge that says you now own a Porsche. All engines but the base model’s 3.6-liter V-6 help the Porsche Cayenne feel up to the task its name sets for it. The standard Cayenne boasts only 300 horsepower, and a 7.3-second 0-60 mph time, but an excellent steering rack, suspension, and handling help compensate. Pay more for a Cayenne S—or any other Cayenne model, for that matter—and Porsche force-feeds a V-6 or V-8 with predictable results. 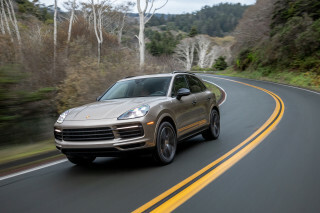 The Cayenne S makes 420 hp from its turbo V-6 and runs up to 60 mph in 5.2 seconds, while the top Turbo S feeds a 4.8-liter V-8 with more air (and magic) for a 4.0-second run up to 60 mph. The Cayenne S E-Hybrid is for efficiency-minded shoppers, although its neon green trim pieces and brake calipers aren’t exactly inconspicuous. The current Cayenne is heading toward the sunset of its current generation—a new version is likely on the horizon—but it’s clearly racing to get there. The Porsche Cayenne looks good on its own without asking owners to swallow small 911-derived details. Bad news: The Porsche Cayenne borrows some of the details and curves from the iconic 911—but only if you squint. Good news: Instead, by viewing the Cayenne as a crossover SUV it strikes its own chords with a rounded shape and attractive details. Very little about the Cayenne is rugged, which is probably the point. The 2018 Porsche Cayenne wears the same headlight design as other contemporary Porsches by featuring a quad-element array. Its long hood reaches back into a stretched cabin that’s sleeker than its rivals, without resorting to a trendy “coupe” stance. In back, there are small elements from the automaker’s sports cars, mostly limited to the small hatch spoilers. Inside, the Cayenne adopts the same driver-first approach as Porsche’s sports cars with curved surfaces and an analog clock. The sweeping instrument panel features sculpted vents, upscale materials and aluminum trim pieces that help remove visual weight from a black cabin. The Porsche Cayenne is serious about its performance, regardless of how big it is. Optional extras, including an air suspension or uprated turbocharged V-8s, propel the Cayenne well past anything on the market, but they all come with eye-watering costs. 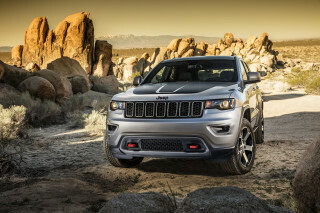 The base engine is a 3.6-liter V-6 that makes 300 horsepower and 295 pound-feet of torque. It’s mated to an excellent 8-speed automatic and standard all-wheel drive. Porsche quotes a 0-60 mph time of 7.3 seconds and it’s believable—the standard Cayenne may be the only one that doesn’t live up to enthusiasts’ expectations. 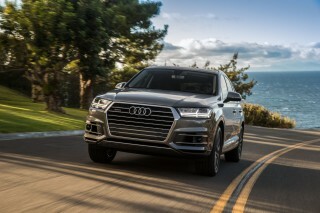 The next stop is a turbocharged 3.6-liter V-6 found in the Cayenne S that ups power to 420 hp and 406 lb-ft and will sprint up to 60 mph in 5.1 seconds. It’s willing power that demands responsibility. The Cayenne GTS takes the same basic setup of the S, but adds 20 hp to that figure and knocks just a couple tenths off the same sprint. Its $20,000 premium to the bottom line of the Cayenne S (the GTS starts at nearly $100,000) may be cause for pause at purchase time, but the GTS package adds more handling, aero, exterior, and interior bits to justify the price gap—maybe. The Cayenne S E-Hybrid is the only option for electrification and it marries a 3.0-liter supercharged V-6 to a battery and electric motors for a combined output of 416 hp and 435 lb-ft. Its performance isn’t far off the Cayenne S, with a 5.4-second sprint up to 60 mph. The S E-Hybrid can travel up to 78 mph on electricity alone, for up to 14 miles. 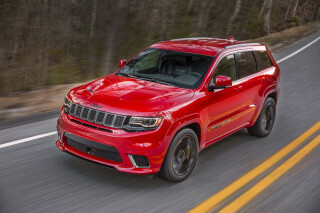 The Cayenne Turbo and Cayenne Turbo S models are at the top of the pile with a turbocharged 4.8-liter V-8 that makes 520 hp or 570 hp respectively. It’s 0-60-mph times hover around four seconds for both models, which considering the Cayenne’s size makes them both physical marvels. To direct (and arrest) that speed and size, Porsche makes available several different suspension systems in the Cayenne. Porsche’s Dynamic Chassis Control system is an adaptive setup that includes active anti-roll bars on the front and rear axle to reduce lean in cornering. An optional air suspension setup (standard on the Cayenne GTS) further controls the Cayenne’s motions and smooths out the ride and can raise or lower the car by more than half an inch. A brake-based torque vectoring system can mete power around Porsche’s all-wheel drive system to aid corning. The Cayenne doesn’t go off-road often, but Porsche hasn’t abandoned the idea altogether. A Porsche Traction Management system can dial in throttle, transmission, and gear settings for snow, sand, mud, or rocky terrain. 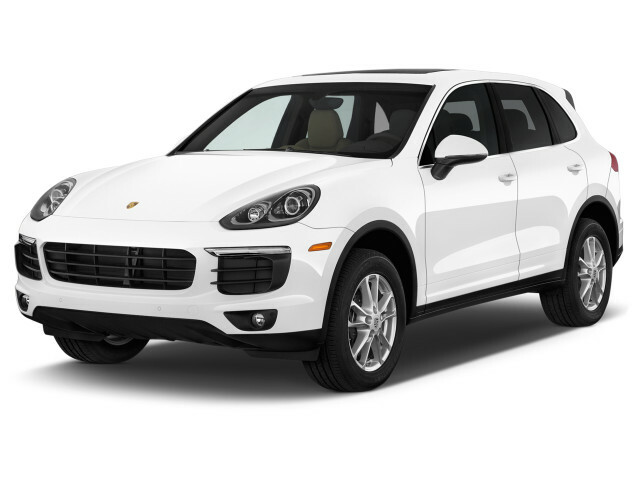 The Porsche Cayenne is comfortable for a crowd, but it may not be as spacious as the size would indicate. Porsche is a sports car maker by heritage, but it’s bread-and-butter vehicles now are a pair of SUVs. The Porsche Cayenne came first, and represents more than just the “Porsche of SUVs”—every single one is a conquest for the automaker. The Cayenne’s interior may not be as spacious its exterior looks would indicate. It’s roomy for four—or five—with a driver-centric layout that you’d expect from a maker of sports cars. The Cayenne’s layout is full of buttons, which we expect that the automaker will back away from in the newest version that’s due in 2018, and the cockpit is fairly busy. Base models come with standard seats that are mostly supportive with good visibility and adjustability without paying extra. Sport seats are optional on Cayenne and Cayenne S models, but standard on Turbo, Turbo S, and GTS models. The sport seats are predictably deeper with more bolstering, but not necessarily better. If whipping around in a big SUV sounds like a good idea for you, they could be worth the added cost and extra effort on entry. The rear bench can slide fore or aft by about 6 inches, which compromises cargo space but adds comfort for rear-seat riders. The rear seat back can recline, which may be more comfortable for long hauls. The seats can be upgraded from partial leather to leather to natural leather, or include Alcantara inserts. The cargo area will hold 23.6 cubic feet of cargo space and isn’t compromised if you opt for the Cayenne S E-Hybrid model. Porsche tucks the battery below the cargo area where the spare tire would normally sit. The Porsche Cayenne hasn’t been thrown into a wall by either official safety rating agency. Even with the Cayenne’s relative success and its best-selling status for Porsche, neither official safety rating agency has crash-tested the SUV. Six airbags are standard on the Porsche Cayenne, including driver and passenger front and side airbags, side curtain airbags. Seatbelt pretensioners and car-seat mounts are standard on the Cayenne. Porsche makes most of its advanced safety features optional extras on the Cayenne, including forward collision warning, lane departure warnings with active lane control, adaptive cruise control, and adaptive headlights. A surround-view camera system is optional, but will be popular for many buyers looking to protect that lustrous German paint in parking garages. The Porsche Cayenne can be unique as your secret cookie recipe, but the SUV’s ingredients are far more expensive. The 2018 Porsche Cayenne is like everything else from the automaker: expensive, but well-equipped. Shoppers can get a headache trying to personalize everything about their Cayenne with the automaker’s myriad options—there are 17 wheel options and more than 20 interior surfaces that can be covered with leather, for example. All Cayenne models get a 7.0-inch touchscreen, 18-inch wheels, a 4.8-inch driver information display, power-adjustable front seats, power tailgate, and dual-zone climate control. A base Cayenne will be hard to find, occurring less frequently than a solar eclipse in your backyard. The Cayenne is offered in base, S, GTS, S E-Hybrid, Turbo, and Turbo S configurations with varying levels of standard features, but nearly the same dizzying array of optional extras. Several popular options will be a Porsche Connect Plus package that adds navigation, Google Earth map information, and smartphone integration, including Apple CarPlay. 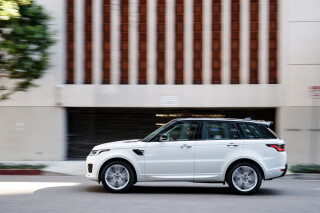 Higher models include automatic parking assistance, a surround-view camera system, standard sunroof, rear-seat entertainment, and premium audio systems engineered by Bose or Burmester. The Burmester system is one of our faves, provided you have the $5,700 to spend on auditory bliss. Other features such as air suspension and torque-vectoring systems help the Cayenne live up to its Porsche badge, and we cover those above. Sport seats may be on some shoppers’ lists for the Cayenne, but they’re not strictly necessary for base versions—the regular seats are plenty supportive. Cayenne Turbo S models start with the sport seats as standard (and they’re a good idea) but can swap out the regular versions for no cost. Many other features add personalized touches, custom shades for interior and exterior, carbon fiber, wood, and other features for a hefty sum. Building up even a base Cayenne to reach six figures isn’t hard to do. Most models of the Porsche Cayenne will manage fuel economy in the high-teens, fairly remarkable considering its heft and performance. The 2018 Porsche Cayenne isn’t as thirsty as its performance might indicate. 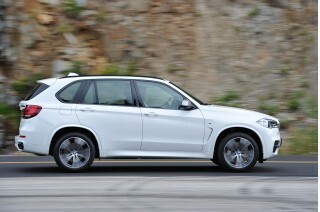 Most versions will manage combined fuel economy in the high-teens, and one model can do much better. Standard Cayenne models earn just 1 mpg better in the city, Cayenne Platinum versions trim 1 mpg from each rating. 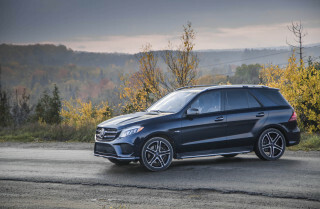 Cayenne GTS models are rated at 16/23/19 mpg. Upgrading to the Cayenne Turbo, and its prodigious 4.8-liter V-8, downgrades fuel economy to 14/21/17 mpg. The Cayenne Turbo is rated identically to the Cayenne Turbo S.
The most-efficient Cayenne mates a 3.0-liter V-6 with a 95 hp electric motor. The EPA rates the Cayenne S E-Hybrid at 22 mpg combined, or 46 MPGe when electrons are factored into the fuel economy. The plug-in hybrid is rated for 14 miles for all-electric range.